Many people (particularly those who intend to plead guilty) are reluctant to spend money hiring an attorney since it would cost nothing simply to walk into court at arraignment, admit guilt, and accept a punishment that may be no worse that what an attorney could negotiate on their behalf. This thinking is understandable but does not comport with reality. In very few cases, hiring an attorney will cost you money and achieve no real benefit in terms of the ultimate result. In the vast majority of cases, hiring an attorney will have a significant impact on the outcome of your case, the sentence imposed, and what, if anything, you are convicted of. It takes an experienced attorney to know whether you are guilty of what the prosecutor has charged, as opposed to a lesser offense, and whether there is some defense you haven’t considered or do not know about. 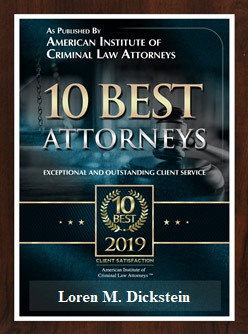 A top, knowledgeable Michigan Criminal Defense Attorney would only adequately explore alternatives to a plea of “guilty as charged.” The deal offered by the prosecutor will rarely be as favorable as a good defense attorney is likely to achieve. Additionally, an attorney can advise you on the consequences of a conviction, whether that conviction can be expunged in the future, and the benefits and limitations of expungement. This may be hard to believe at first, but a great lawyer will likely be able to pay for himself or herself and become an asset to you. How? Probation has all kinds of direct, indirect, hidden and open costs and expenses. Probation supervision fees, fines, costs, restitution, missed work, missed employment opportunities, the costs of therapy, drug treatment/testing, the expense of tether, transportation and much, much more. What about the cost or value of your time? A respected, successful criminal defense lawyer will likely be able to reduce the amount of fines, costs, fees and restitution. He or she will probably be able to reduce or eliminate the costs or requirement for drug treatment, testing, therapy and other probation requirements. What is the value to a reduced term of probation? Six months versus a year, a year versus five years of probation. Should I hire ANY private attorney before I accept a public defender? If you lack the resources to hire an attorney, and are charged with a misdemeanor or a felony, you are entitled to have a court appointed attorney represent you at little to no cost. The judge will appoint a public defender upon your request at arraignment (i.e., your first court appearance) if you are entitled to it. Many potential clients have an extremely negative perception of public defenders and act as though they’d rather hire ANY private attorney before accepting a free one. I cannot stress enough that this would be a mistake. 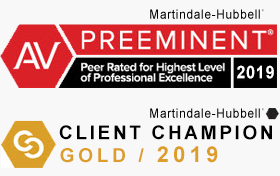 I have observed the work of several hundred criminal defense attorneys – private and appointed – over nearly 16 years retained practice in Oakland County, Wayne County, Macomb County and throughout Southeastern Michigan. Overwhelmingly, the most incompetent attorneys I’ve seen are private attorneys very low fees and accept “payment plans.” A court appointed attorney who represented his or her clients in a completely incompetent way would quickly come to the attention of the judges. Incompetent private attorneys lack this oversight and judges turn a blind-eye to their inept representation. This being said, there is no replacement for a quality retained criminal defense lawyer. Only a retained attorney will be able to afford to do everything possible to help you or your loved one, will be able to dedicate the time necessary to achieve the best possible result, and dedicate the time and patience necessary to answer all of your questions, return all of your telephone calls, and thoroughly explain the law and the possible consequences. 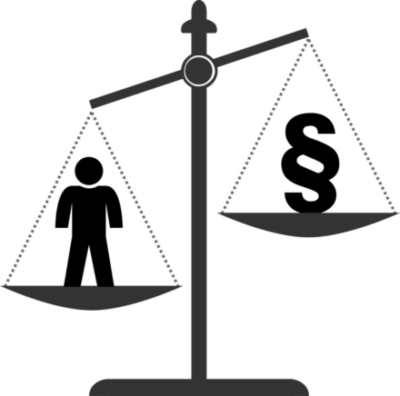 Why should I pay for an attorney if I’m entitled to a public defender at little or no cost? As explained above, accepting the appointment of a public defender is usually a much wiser choice than retaining an unskilled (and often low-cost) private attorney or a general practice attorney (one that practices other areas of law in addition to criminal defense). But you should also know the drawbacks of representation by a public defender. Their caseloads are often far too high to give your case the attention it deserves. Also, it is common for public defenders to switch assignments so frequently that you have a new attorney each time you go to court (this generally occurs only in district court). Consequently, it is often difficult for a public defender client to find someone who takes “ownership” of the case and gives direct answers about its progress. Additionally, even if you dislike your public defender and have legitimate complaints about the work he or she is doing (or not doing) on your behalf, you have no right to fire that person and have a new public defender assigned. A judge’s approval is required, and it is exceptionally rare for judges to grant a request for a new court appointed attorney. If you want the best possible result, you will have to hire a criminal defense specialist. How can I learn what it would cost to hire a criminal defense attorney? Unlike most attorneys who bill by the hour, criminal defense lawyers typically charge flat fees. To determine the fee that would be charged in your case, an attorney will likely want to discuss the case at length with you to determine its complexity. For example, it makes little sense for an attorney to say that the fee for every first-time DUI is the same. Some clients with a high blood-alcohol level might simply want an attorney to conduct a basic review of the case to determine whether to fight it, and then (if a decision is made to plead guilty) secure a plea bargain to the lowest offense possible and obtain the lowest possible sentence. This involves considerably less time for the attorney than a DUI case where extensive motions need to be filed, and extensive trial preparation must be conducted. Lawyers who quote “one fee” or “one low fee” for everyone charged with a particular offense should be strictly avoided. This approach is frequently used for DUI, OWI, drunk driving and domestic violence cases. A lawyer who is really going to care for you and fight for you is going to take the time to determine a fee that is fair for your particular case and not treat you like a “cookie-cutter” client. What are the benefits of a flat fee? The benefit of a flat fee is that clients know, at the outset, how much he or she must pay an attorney. 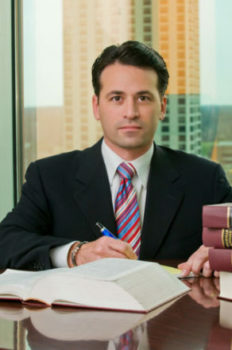 Anyone who has ever hired an attorney at an hourly rate knows that it can be scary to await a huge bill every month, particularly since it is almost impossible to know for certain whether the attorney is acting ethically – billing for necessary services that were actually performed – or billing more time than what was actually devoted to a case and/or billing for services that were never really essential to the case. Some lawyers abuse clients who are paying hourly by running up bills by performing services that are unnecessary or working at a slow rate. When a lawyer charges a flat rate, the exposure is know and anticipated. How do I know whether a flat fee will really cover everything? Although Michigan law does not require attorney fee agreements to be in writing, you should NEVER hire an attorney who does not offer a written contract. Lawyers that do not use fee agreements are usually crooked and end up taking advantage of the client’s desperate circumstances by insisting on being paid more than was originally quoted or building in hidden fees they claim were discussed at the consultation. In those cases where a Fee Agreement is used, any exceptions to a nonrefundable, flat fee must be in the contract. 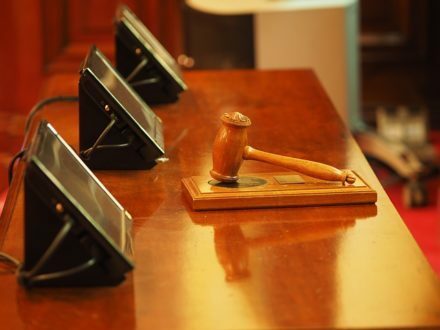 Since only a small percentage of cases actually go to trial (the majority are resolved through a plea or dismissal), most attorneys will charge an additional flat fee for trial preparation or to conduct a jury or bench trial. Also, insist that your attorney charge an initial flat rate in felony cases that only representation through the preliminary hearing. If the case gets dismissed in district court, you should not pay for representation in circuit court that is never going to occur. Finally, it is important to note that attorney fees generally exclude “costs” and you will have to pay for any of the lawyer’s out-of-pocket expenses. What is the difference between an attorney’s fee and his or her costs? Most fee agreements provide that a client must pay “costs” in addition to the attorney’s fees. Costs can include additional services like hiring a private investigator to conduct interviews and serve subpoenas, copies, mileage and the cost of procuring discovery from the government. Be sure to ask whether it is likely that you will have to pay for any costs, and what the amount is likely to be. Do criminal defense attorneys accept payment plans? It depends on the attorney. A large percentage will ask for payment in full before they will agree to accept your case. While this may seem insulting or even greedy, you should be aware that attorneys who do not do this often find themselves performing work for which they never get paid. An attorney who is unable to protect his or her own interests is far less likely to successfully protect yours. Additionally, because attorneys who accept payment plan often lose money representing clients who fail to fulfill their obligations, they may need to make up the difference by running a high-volume practice where they cannot devote the time that each client’s case deserves. Due to the difficulties in Michigan’s economy, the business of practicing law today is different than just a few years ago. If money is tight but you really want to hire a particular lawyer, do not be shy and ask about any alternatives methods of payment or structures in payment that may be available. It can’t hurt to ask.